Paco Alcácer, or Alcàsser as he seemed to have no issue with being named by the Catalan press. I can’t remember exactly when I heard about him for the first time. It couldn’t have been much after he joined the younger teams at Valencia from his childhood club Torrent. I remember writing bout this goal machine prodigy that broke all records when it came to precisely that; scoring goals. He was the Valencian hope for the future. He was the next David Villa. 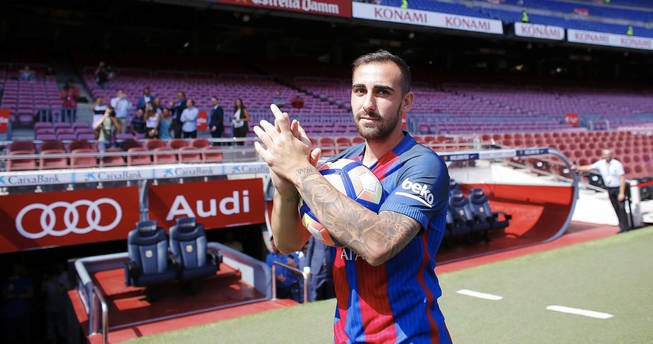 Unlike that eternal #7, who has shown a love towards the club that few match, Paco, for all the club’s effort to make it so, has not become that iconic figure. Not while he was here, and certainly he will not be after leaving for our rivals in the north. It was not always so. 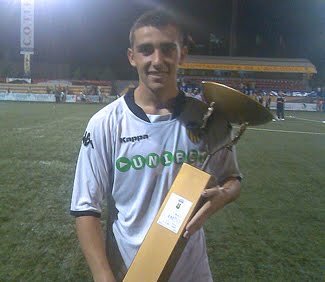 After a Spain u17 match in 2010, he (apparently under the name “Pablo Alcácer” in Marca) admitted he had “dreamed several times of playing for the Valencia first team”. Since he was a boy, he had turned down interest from clubs like Arsenal and Real Madrid, claiming his love for the club was more important. What happened that convinced him at 23 that he left that dream and set that love aside? For me Paco has never been able to live up to his potential at Valencia, save a few glimpses of what could be. Ever since that goal, that loss of his father at Mestalla, he seemed different. There was rarely joy in his eyes while playing, even when scoring. His eyes always looked sad as he pointed upwards towards the skies, in dedication to his father. Even at his arguably best evening at the club, against Basel, there was more will than joy. Paco Alcácer should have been the obvious choice for hero these years at Valencia. The Villa of this time. The player you always put on your shirt. I have one, but I also have one Vargas, Fuego, Viera or Rodrigo. I have 6 with David Villa on them. Somehow, he was never that guy. He never connected. This is also why, when he has left, that I am more annoyed with how and to whom than the fact that he did leave. He was the perfect hero story, but he didn’t have it in him to become one. Whether he left due to a seemingly faltering sportive project, the way the club grows further and further away from its roots, his agent’s trickery or just being unable to resist the opportunity is difficult to say. All are plausible. This is modern football, where feelings of belonging, loyalty and club culture seem to matter less and less for the ones within the system. The ones who keep the system running however, the fans, are still asking for those things. Without them, football is just a modern circus of travelling clowns and jugglers. That is why it still feels like Paco Alcácer has committed some kind of high treason. Instead of a new Villa, he is the new Mijatovic, the new Judas. Well, except he was never as good as the Serbian. Watching his press conference there seems to be no end to the treason either. Criticizing your old employer, especially when it is the club you claim to love, is distasteful, however candidly it is expressed. At times he seemed thoughtful, nervous, as the sports director of his new club tried to explain the role he would have quite differently as to how he just had. You can’t help but wonder what went through his mind. What did he think when he was there staring out on all the fans who turned up at Camp Nou to welcome him? In this story there are only losers. The club who lost one of the few fibres left of club culture and local belonging, the player who left his home for a role as a sideshow Bob, the fans who are left to hope that there will be another. Next PostWhere is Lim’s valor? Bra artikler! Hvilket reiseopplegg bruker du for å se kamper på Mestalla? Fly til Barca og tog?